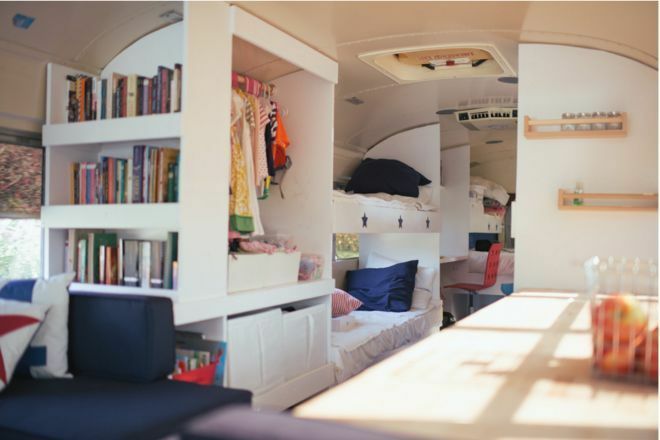 If you think the idea of living in a tiny home is crazy, check out how this family turned an old school bus into a roomy house! 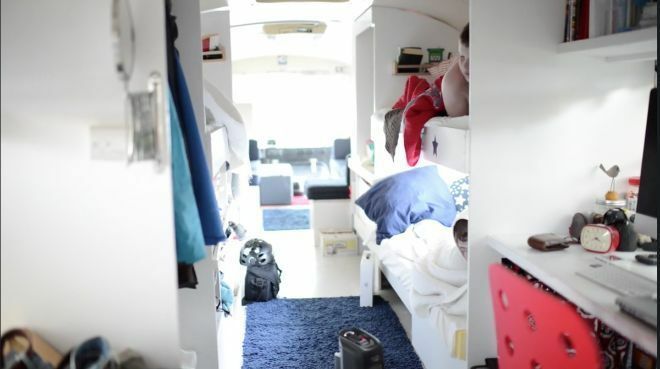 Not only did they convert the bus into a comfortable living space, they took home on the road, traveling together and living a fantastic adventure. When you first look at these photos you might not believe that this used to contain rows and rows of purple and blue seats. But, it did. 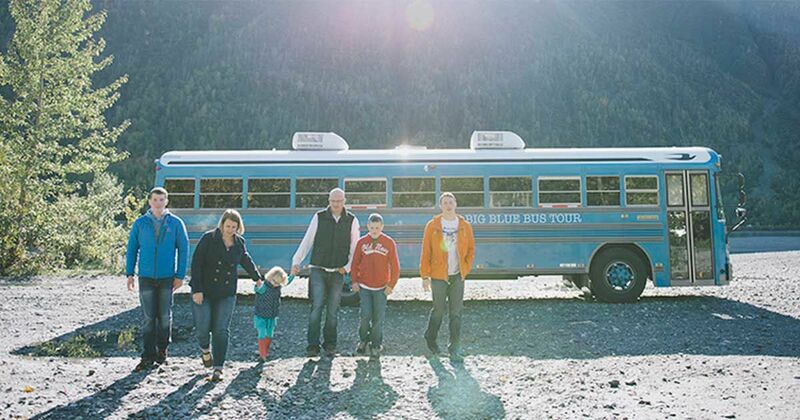 With a lot of DIY and love, the Earle family turned the bus into a traveling house. The main area includes a table, built-in bookshelves and a comfortable sitting area. 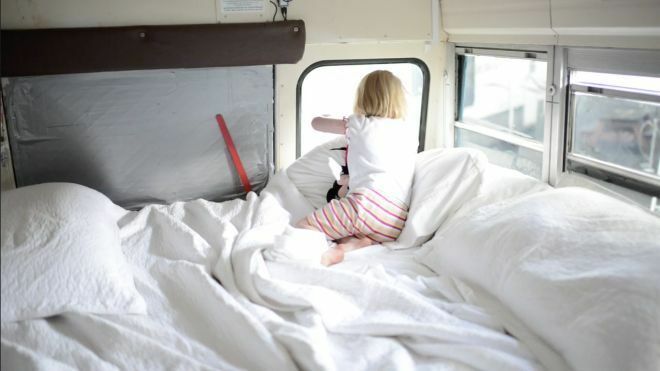 A quick glance into the sleeping room shows that they made use of every square inch of the bus. 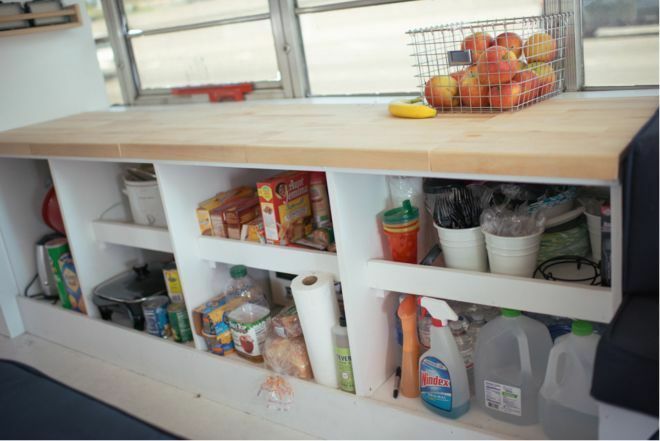 Undercounter storage ensured that the family had plenty of room to keep their food and other supplies, while providing workspace up top. Partitioned storage helped things stay organized. To simplify things, the family used a crockpot, griddle, and grill for cooking, and used a small refrigerator to store cold items. "There are water tanks under the bus and depending on how long this adventure continues, we may add plumbing down the road," the Earles add. "For now it’s a bit of a glorified tent, which works for us!" They designed the interior of the bus to ensure functionality and safety. Most of the furniture and shelving is kept to the side so that the driver can still see out the back window. 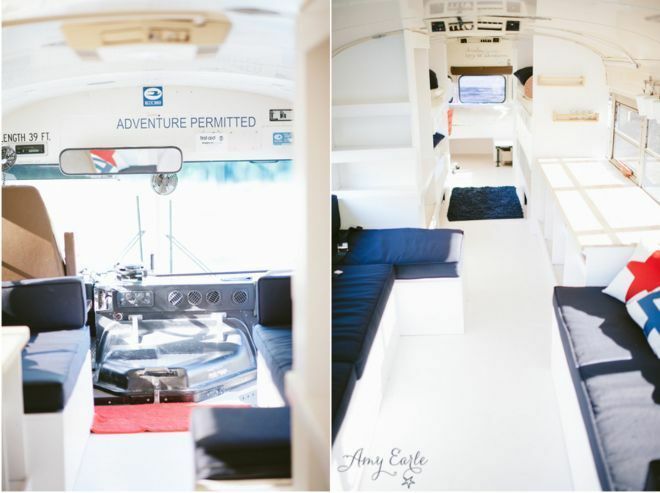 Plenty of windows and a bright white paint, make the bus feel modern and roomy. They managed to create enough space for everyone to sleep comfortably, as well as room for closets and a desk space for studying. Mom and dad even get a cozy sleeping space! The family stayed comfortable with two air conditioners. The bus was also equipped with a generator for power. You may have noticed a lack of shower and facilities. The family installed a portable bathroom at the back for emergencies, but stayed in camps most of the time so they had access to showers and restrooms! Where would you go if you had six months to spend on this bus with your family? Watch the video below if you didn't have enough of this darling converted bus!